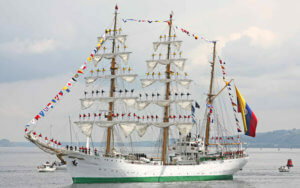 The Colombian Tall Ship Gloria is coming to Boston July 28 – 31. 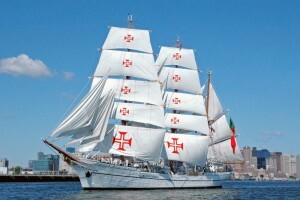 Open for public visits July 29, 30 and 31 from 9:00 AM – noon and 2:00 – 5:00 PM. Times are subject to change at the Captain's discretion. 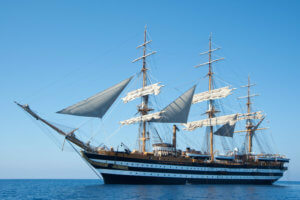 Italian Tall Ship Amerigo Vespucci is coming to Boston! 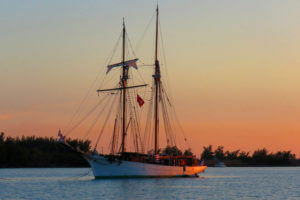 Public viewing hours: Tuesday, July 18 4:30 – 6:30 PM Wednesday, July 19 3:30 – 4:30 PM Thursday, July 20 10:30 AM – 1:00 PM Friday, July 21 10:30 AM – 1:00 PM and 3:30 – 6:30 PM Times are subject to change at the Captain's discretion. 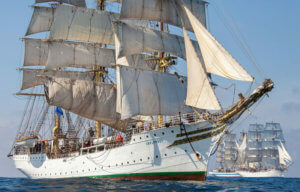 The Tall Ship Sørlandet from Norway will be arriving on April 9 and leaving on April 14. Public boarding hours are April 10, 11, and 12 from 2:30 PM – 5:00 PM. Times are subject to change at the Captain's discretion. 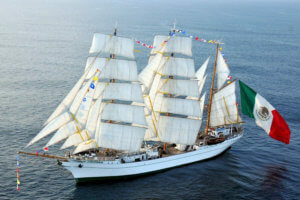 The Tall Ship Cuauhtémoc is coming to Boston! Public visitation hours are Wednesday, March 15th from 11:00 AM – 4:00 PM and Thursday, March 16th – Sunday, March 19th from 10:00 AM – 8:00 PM. Times are subject to change at the Captain's discretion. 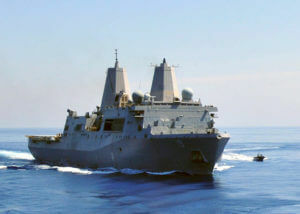 The City of Boston will welcome the USS Mesa Verde to the North Jetty in the Seaport for the Fourth of July weekend. Public visitation hours are on Saturday, July 2nd and Sunday, July 3rd from 12:00 – 5:00 PM. Times are subject to change at the Captain’s discretion. 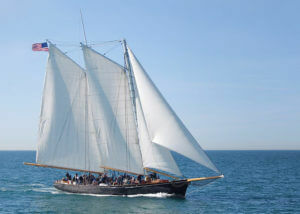 The French Navy Schooner Etoile is coming to Boston! Public visitation hours are on Saturday, June 4th and Sunday, June 5th from 10:00 AM – 12:00 PM and 2:00 – 5:00 PM. 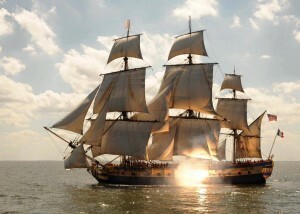 Times are subject to change at the Captain's discretion.